Adams Golf has always been at the forefront of hybrid technology. As the category has evolved, so too have Adams' offerings. Red is their latest, aiming to offer a club with the ability to shape a shot that makes the club useful in almost every situation. The line isn't about distance as much as utility. Red features a smaller, 95cc head that offers enough size and bulk but allows the clubhead to get through most lies. As is customary with Adams, Red sports the company's upside-down head design, whose purpose is to lower the club's center of gravity and help get the ball in the air quickly after impact. The hybrids also have Velocity Slot Technology on the sole and Ghost Slot Technology on the crown, allowing the face to flex for maximum ball speed and forgiveness. 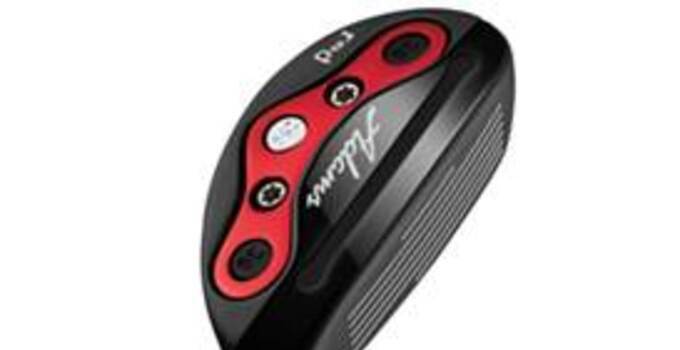 The Red hybrids also have three weights on the sole (one 25g & two 2g) that can be moved around to promote a particular ball flight and shot shape. The Adams Red hybrids (MSRP $229) will be available in 5 different lofts (16-, 18-, 20-, 23- and 26-degree options) starting April 17.